Centor has consistently proven themselves as one of the leading names in high quality integrated windows and doors, designing products that are built to function as an entire system rather than as individual components. Muskoka Window & Door Centre is the proud Ontario dealer of all Centor products, including their newly introduced Centor 250 Integrated Fixed-lite window. The Fixed-lite is one of the best ways to capture the true beauty of your Muskoka surroundings. The Centor 250 Integrated Fixed-lite window has been designed to offer you a superior connection to the outdoors, letting you truly appreciate the beautiful surroundings that Muskoka has to offer. The Fixed-lite features an innovative frameless design, offering gorgeous views through a fixed glass panel. Your view won’t be obstructed by any part of this fixed window, because the sill meets flush with the glazing, resulting in a perfect view every single time. Both double or triple glazing options are available for the Fixed-lite. The Centor 250 Integrated Fixed-lite window is available with a wood interior in five unfinished options, or primed and ready for painting. The window’s aluminum exterior is available in a variety of both standard and custom colours, letting you match your new windows to the aesthetics of your home or cottage, or customize it to stand out. The Fixed-lite is most effective when it’s paired with Centor Integrated Doors, which offers a seamless aesthetic that’s perfect for taking in the sights and sounds of Muskoka. For those who are concerned about maintaining the privacy offered by their Muskoka area home or cottage, the Centor 250 Integrated Fixed-lite window offers a simple solution. The fixed-lite window features built-in shades which help to maintain your privacy and allow for glare control. The built-in shades have been engineered to enhance the Fixed-lite window’s thermal properties, with U-factor improvements of up to 17% being observed with blackout shades when drawn across the opening. The Fixed-lite is available in two separate panel configurations – a single pane and multiple panes, allowing you to customize the window to meet your needs. For more than six decades, Centor has been manufacturing window and door products to the absolute highest architectural quality, creating systems that consistently perform to the highest standards. Centor’s Integrated door products have been met with universal acclaim by experts in the window and door industry, with top-of-line features including screens, concealed hinges, and the unique Autolatch enhancing the enjoyment of homeowners around the country. 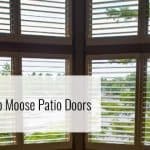 The Muskoka Window & Door Centre is a premier installer of all Centor products, with a number of experienced team members who are trained in the installation and maintenance of these high quality systems. Muskoka Window and Door Centre is the official Eastern Canadian dealer of all Centor products, including Centor Fixed-lite windows. 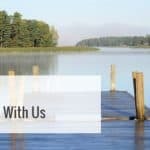 For more information about Muskoka Window & Door Centre’s high quality line of window and door products, visit our website or contact us today.